Dr. Med. Marwan Elmasry opened his HYPOXI-Studio in Germany’s former capital Bonn. The exclusively equipped studio is run by Mrs. Elmasry together with her sisters. Since the beginning of this year, Dr. Elmasry had been searching for a figure concept that has a lasting effect. Being a medical himself, besides the unique effect of the HYPOXI-Method and the best possible quality, it was also important for him to have an international partner at his side with HYPOXI. 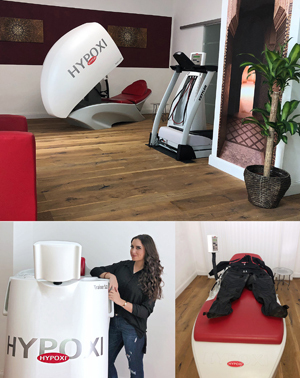 After an intensive search, especially via the franchise portal www.franchiseportal.de, and conscientious research in the body shaping market, he decided together with his wife to go for HYPOXI. Good news for all body-minded people in Bonn, and of course for those suffering with lipoedema, who are under medical supervision by Dr. Elmasry.